Well, well, well…here we are again. 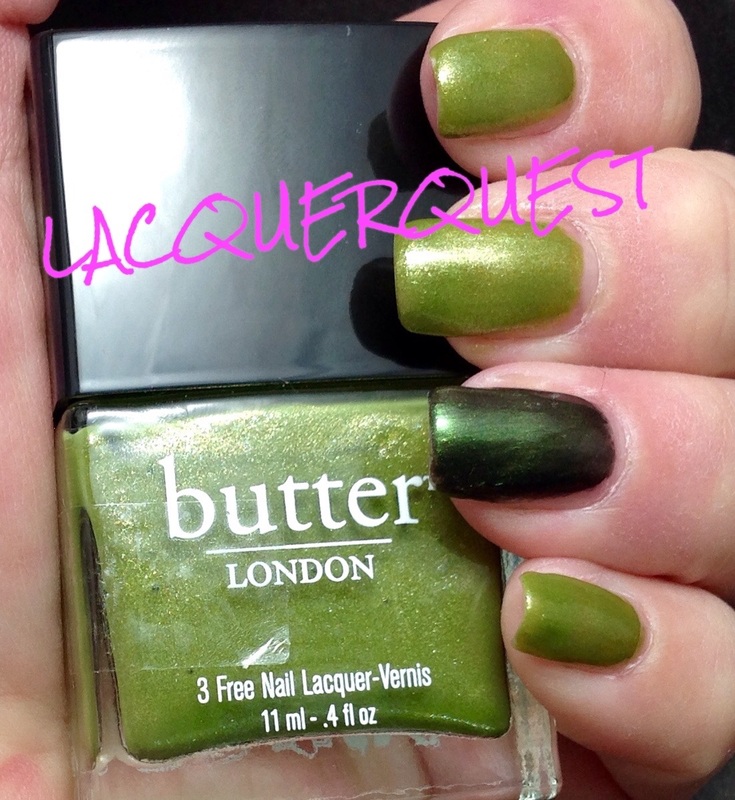 Oh, Butter London, I just can’t quit you… I’m going to keep using you until I love you, dammit! Truthfully, I’m almost there, at $8.00 or less, anyway. I got this one in a Holiday two-pack that was half off the regular price and then I got 50% off of that. 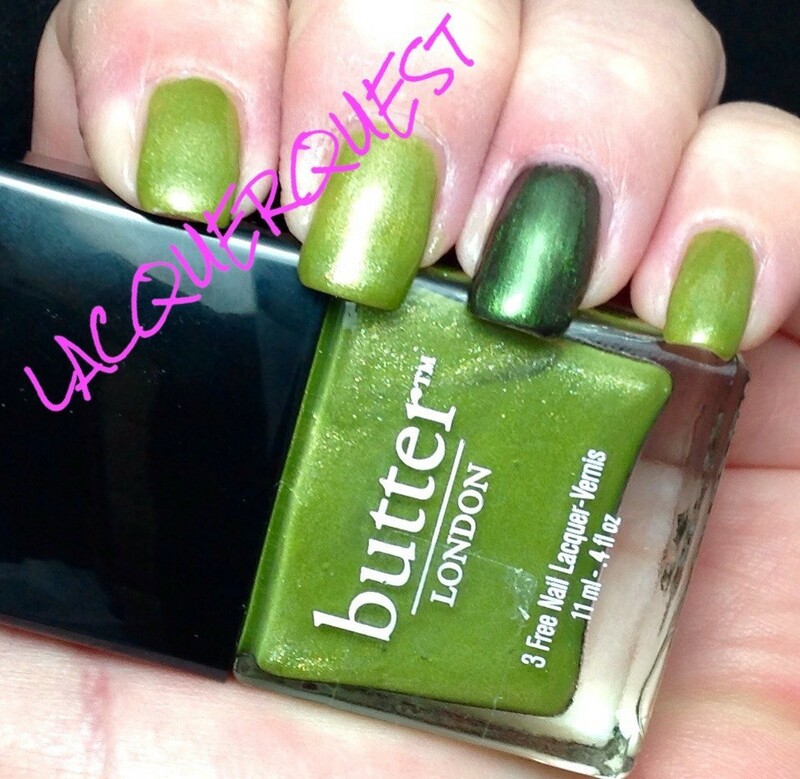 Butter London at $3.75 a bottle? Yes, please! 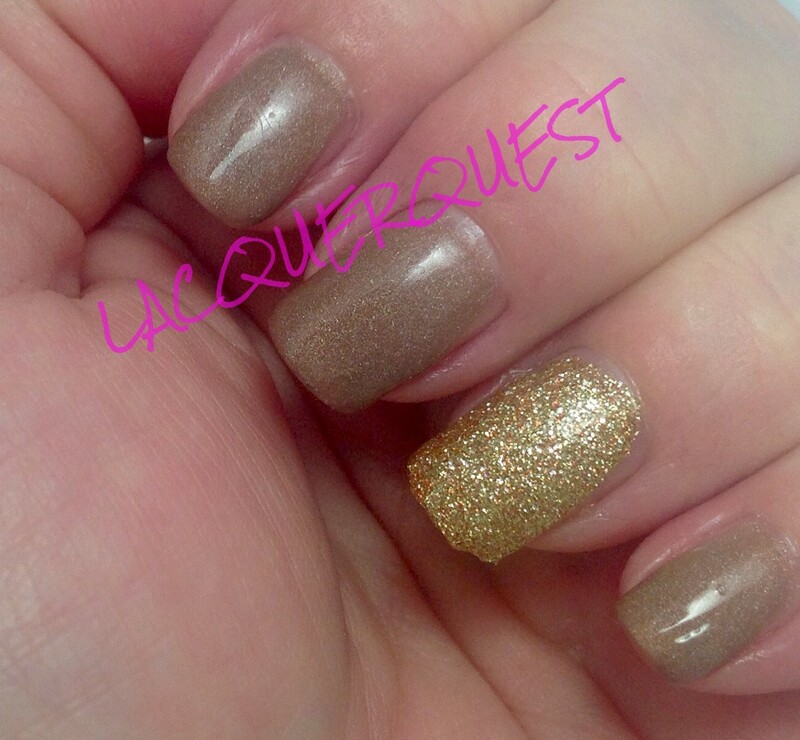 West End Wonderland is a light gold glitter in a clear base. 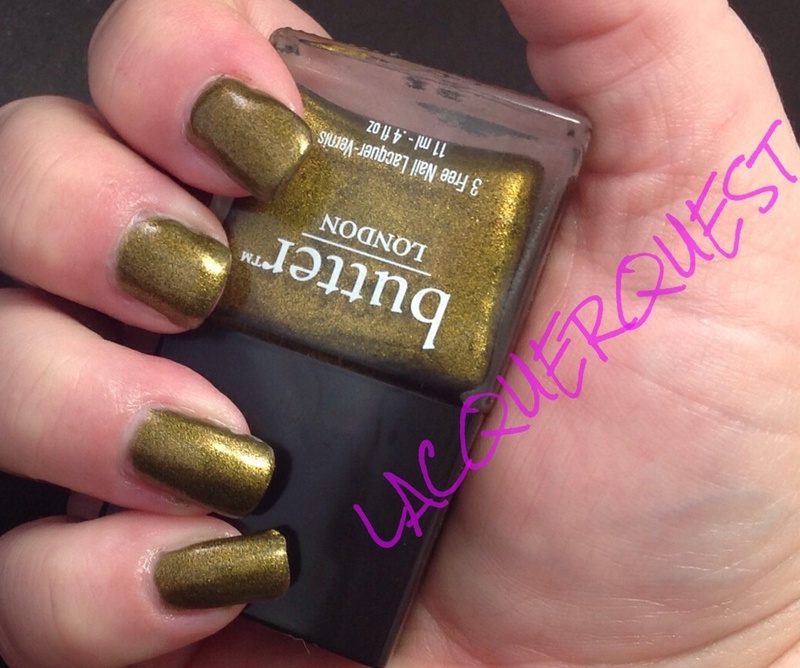 I’m not really a fan of gold in general and gold nail lacquer even less. But this always looks so tempting that it’s been on my “maybe” list for several years. When the aforementioned deal came up (the other one in the pack was Come to Bed Red, which is another one that’s been on that list for a while). I finally took the plunge. And I’m glad I did. It looks pretty dark on the BL site, but in person it’s much lighter and brighter and even has a sprinkling of sparkly copper and pink! Like most clear glitters, it goes on quite sheer. In fact, I think that a light coat of this would be a great topper to a creme underneath. Unlike a lot of clear glitters, it was perfectly opaque after three coats. It also came off really easy, not just swipe, wipe like with a creme, but it didn’t require soaking, either. Also like most glitters, it wasn’t perfectly smooth but just one coat of Seche Vite fixed it up nicely and, since I always finish with the SV, it wasn’t even an extra step. Will I wear this all the time? No, because even though it exceeded my expectations I’m still not a real fan of gold glitter. Will I wear it again? Yes, it’s easy to apply and easy to remove. I might even try it as a topper for some sort of holiday manicure come December. 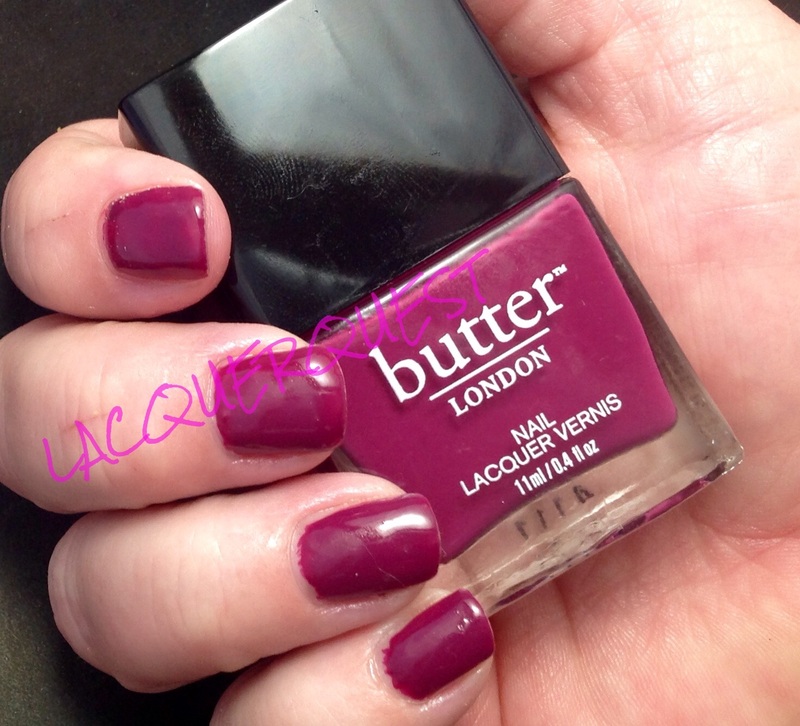 This is Queen Vic, which BL calls a red wine/cranberry creme. I only had a few BL cremes in my collection previously, but I’ve gotten quite a few more with my latest acquisitions. For the most part I’ve liked them, I find them better than China Glaze, but not quite up to OPI standards. I’d put them just under Zoya, which might be attributed to the brush. I’d classify this more as a berry than a cranberry, which I think of as more red. Maybe red wine/dark mauve as it does lean just a taste purple. 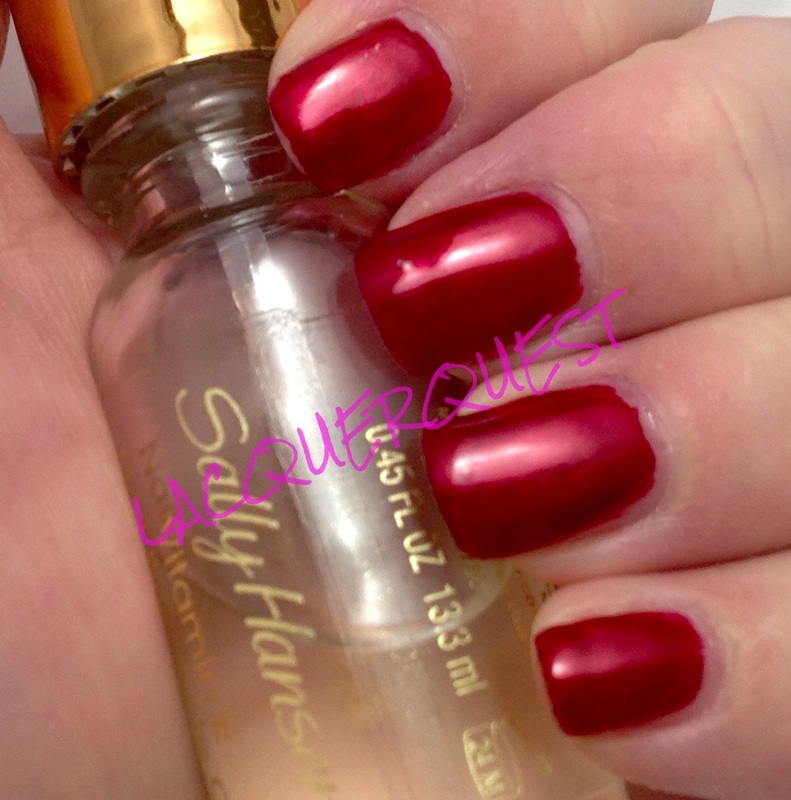 I find it very close to OPI Anti-Bleak from their one of of their Mariah Carey offerings a few years ago or Casino Royale from the Skyfall collection. Also Got Cherried Away from the Coca-Cola collection, which I actually have. I’ll need to remember to do a comparison when I get around to reviewing that one. 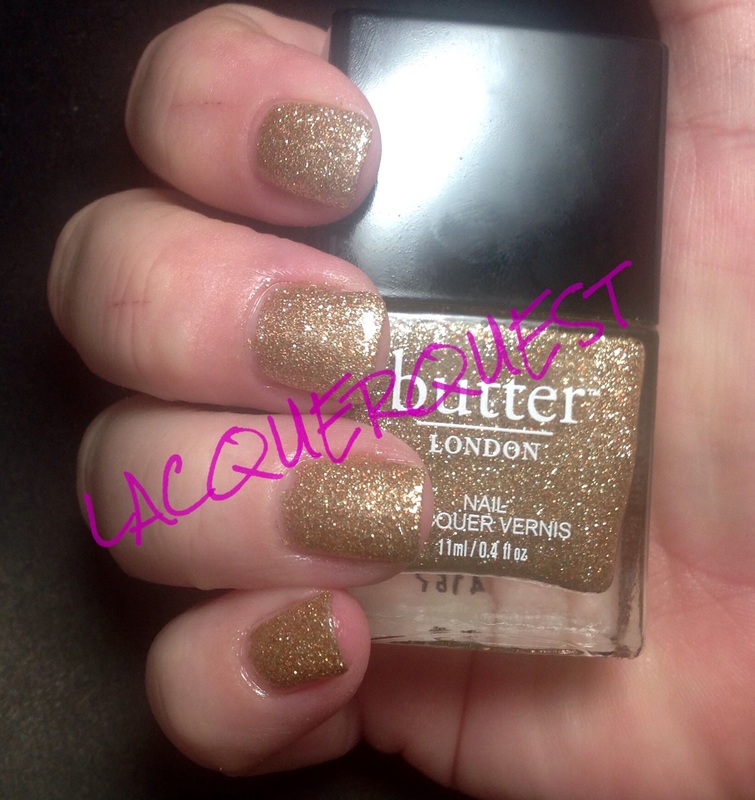 Or maybe Zoya’s Veronica. In other words, there’s nothing unique or special about the color. Well, I shouldn’t say not special, because the color itself is a great one. Probably why there are so many variants of the shade available. Work appropriate but not boring, understated but not granny-ish, attractive on just about every skin tone and any nail length. In other words, a pretty classic shade and one that I’m quite fond of in general, not just in nail varnish.